Preheat your oven to 375 degrees F. Wash the potatoes and peel off about 3/4 of the skin, take it all off if you want. Chop the potatoes into large chunks. Boil the potatoes and garlic in a large pot of water until the potatoes are tender. Drain the potatoes and mash them slightly with a potato masher. Stir together all of the ingredients except for the topping and mash together. 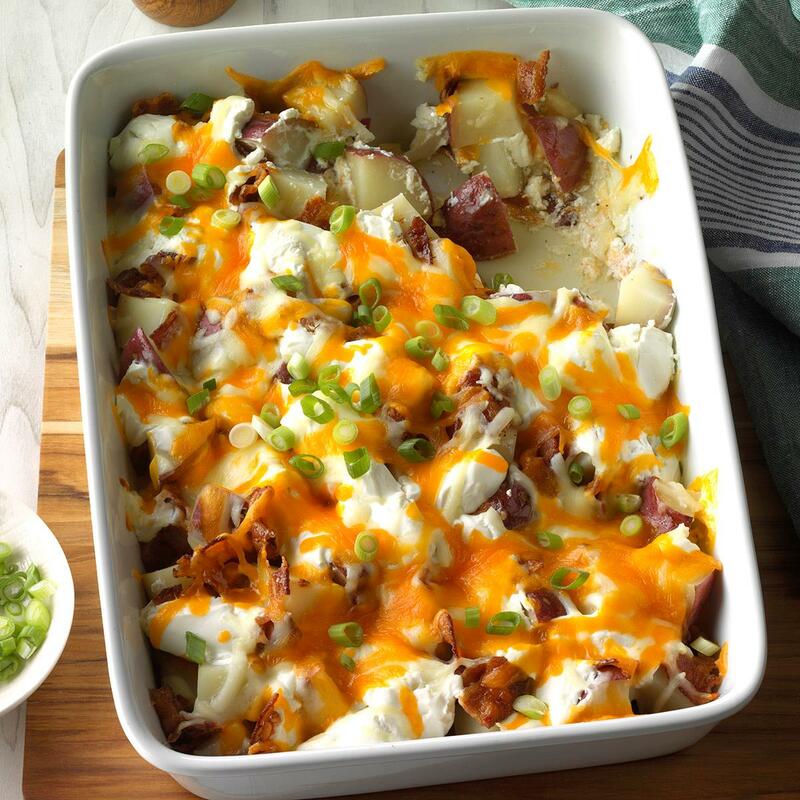 Place the potato mixture into a 9×13 inch casserole dish, sprinkle on the toppings, and bake for 20-35 minutes.